Most of us spend A LOT of time in our cars. Whether it’s commuting to work, dropping the kids off to school, or just running everyday errands…we put our cars through a lot of wear and tear! Before you know it, you realize that your car is a mess! Paying for a professional to detail your car can be expensive. That’s why I’ve created this roundup post of car cleaning hacks to help you save a few bucks, and keep your car clean on a budget! 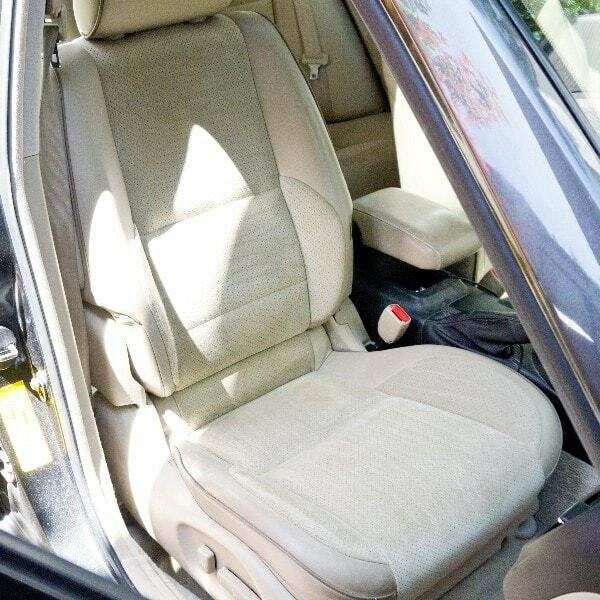 Remove stains and dirt from your car seat’s interior by scrubbing them with hot water, dish soap, and washing soda. 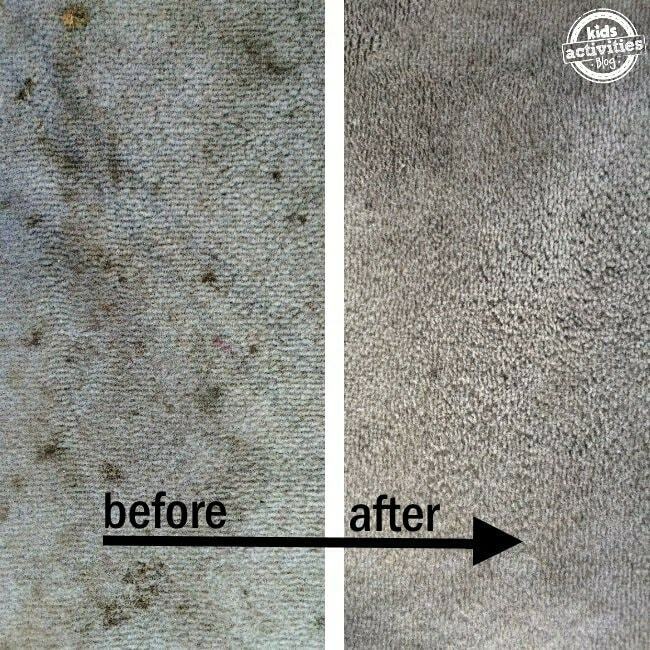 Using a microfiber cloth reduces residue left behind on your car windows after cleaning. It also helps to reduce streaks, giving you that professional clean look! 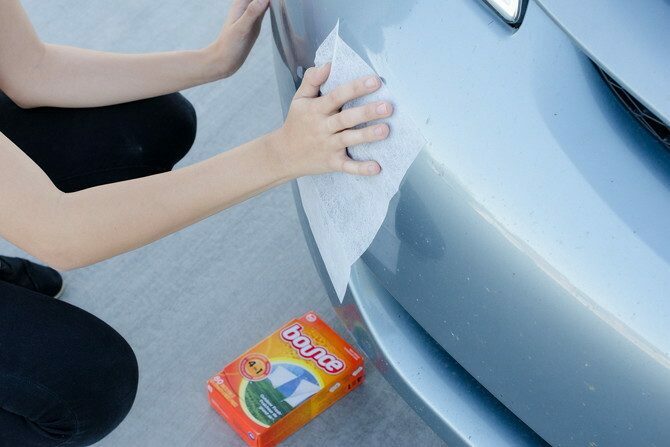 Use dryer sheets to remove bugs and other residues from your car grille. 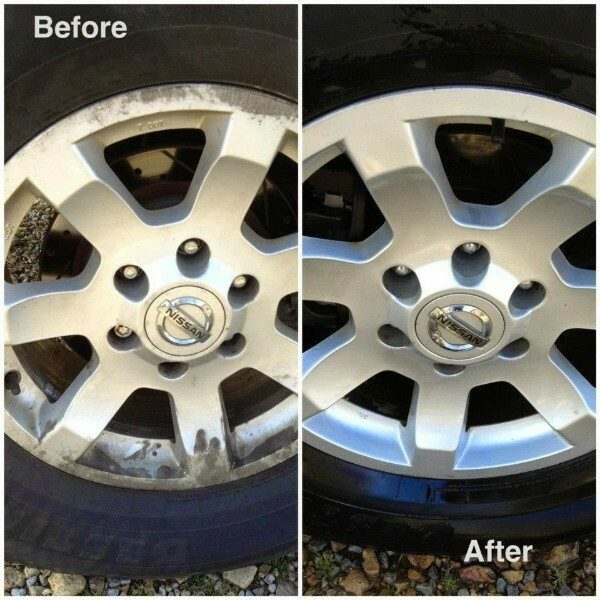 User bleach powder to get your wheels shining squeaky clean! The bleach powder is strong enough to remove those stubborn stains too! Make your carpet and floor mats look brand new by combining hydrogen peroxide, water, and essential oils for a homemade cleaner. We recommend doing a small patch test first, just to ensure that your fabric won’t be lightened by the peroxide. 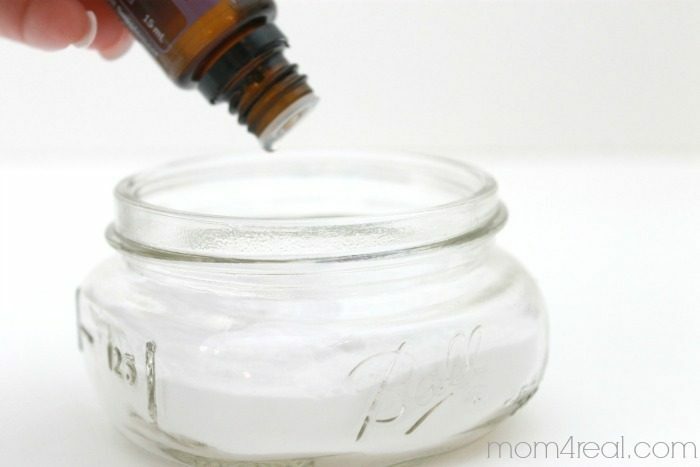 Mix baking soda and essential oil in a small mason jar, and poke holes in the lid. Place it in your cup holder for a natural air freshener! 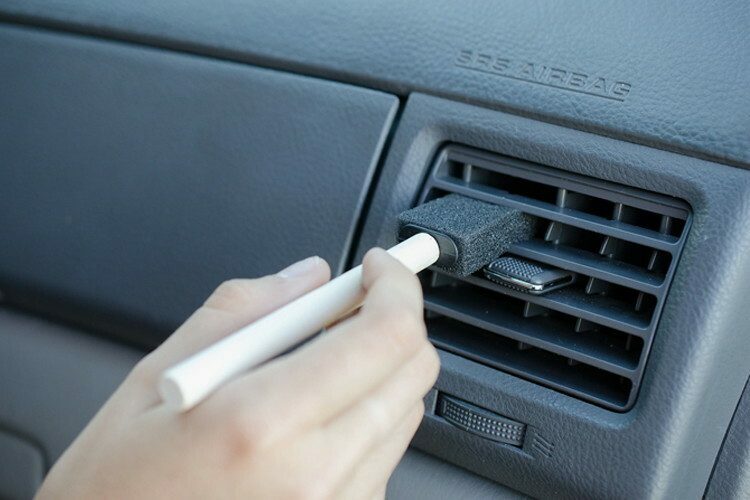 Use a foam craft brush to dust your a/c vents, and other tiny crevices. 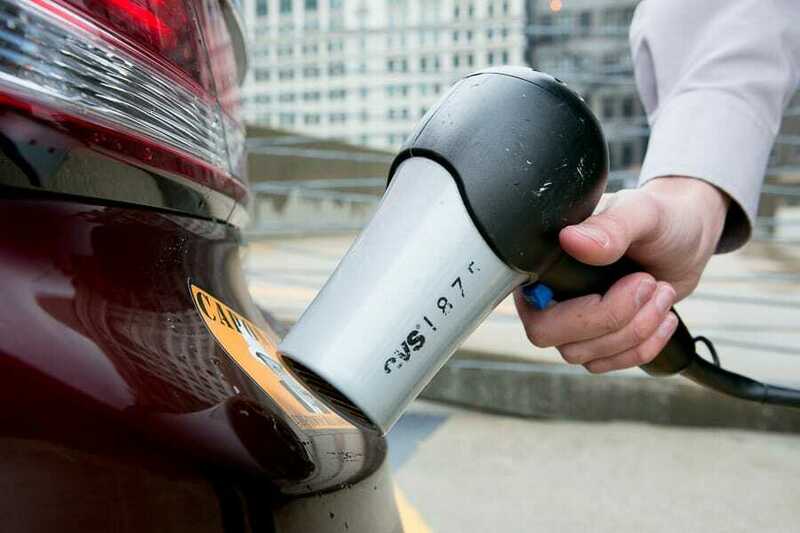 Use a hair blow dryer to remove bumper stickers from your car. 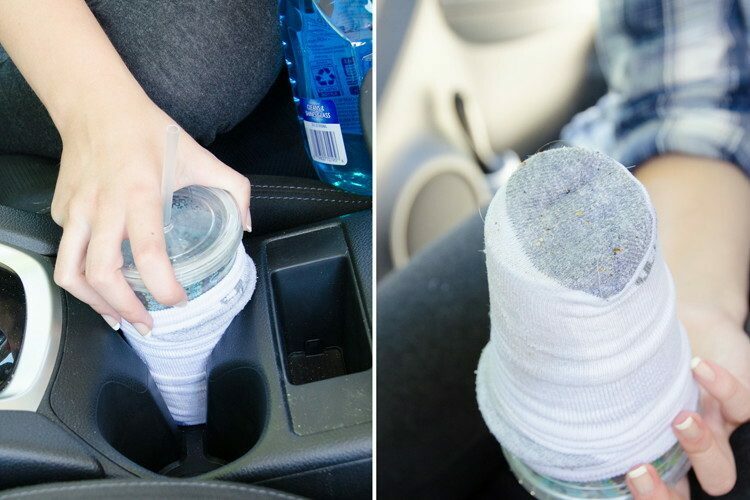 Clean those yucky car cup holders in a snap with this clever hack! 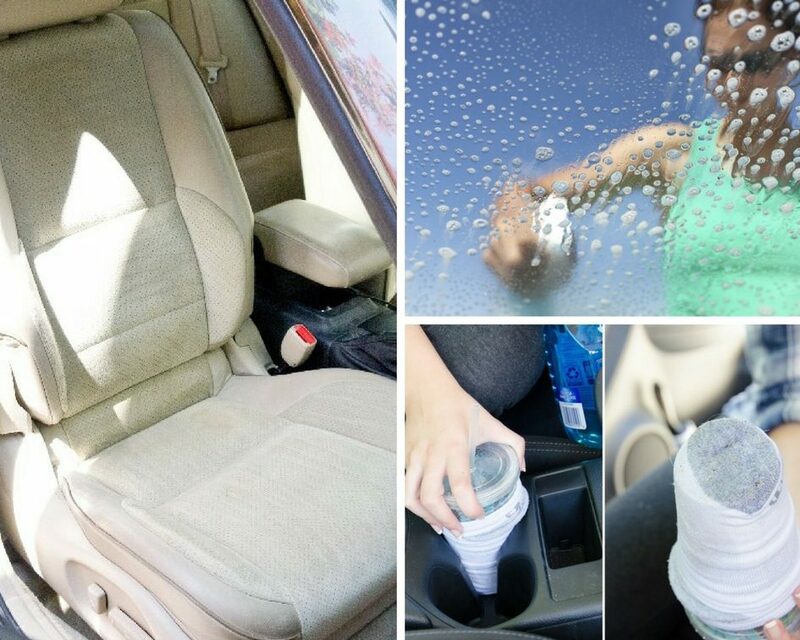 These hacks will make cleaning your car a breeze! Most of these ideas are inexpensive, while still giving your car that freshly detailed look! Give a few of these a try and let me know what you think! 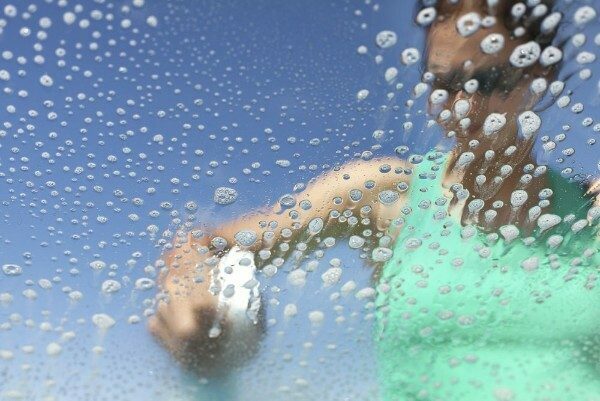 What are some of your favorite car cleaning tips? Share them in the comments below!